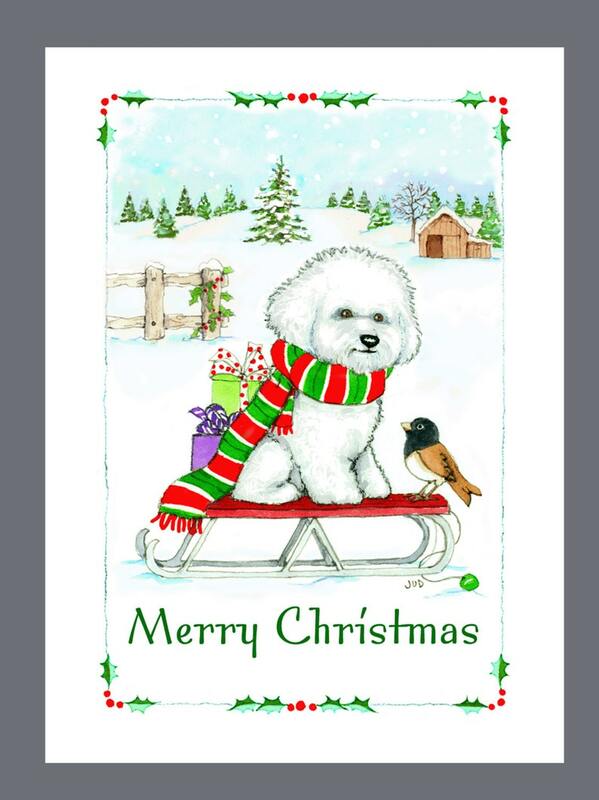 A Little Bichon Frise Dog Enjoying Christmas with a Friend. Share your Holiday Greetings to family & friends with your favorite canine companion! Cards arrived in record time! The bichon cards were as advertised. Overall a good shopping experience. !